Images from the 1986 Mellon Jazz Festival in Brandywine PA at The Delaware River Water Gap, and from Penns Landing 'The Great Plaza. These images are from 25 year old scanned prints that were originally taken with marginal equipment consumer grade film, and lack of photographic skill, but, mark yet another lost piece of Jazz history. 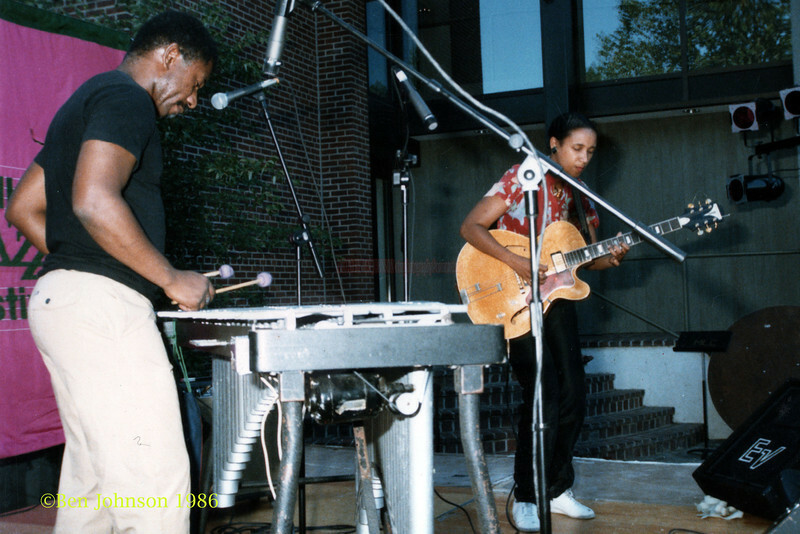 Khan Jamal and Monnette Sudler performing at The Mellon Jazz Festival in Brandywine Pennsylvania in August 1986. KhanJamalMonetteSudlerMellonMellon Jazz Festival in Brandywine Pennsylvania in August 1986.benjohnson jazz photos.